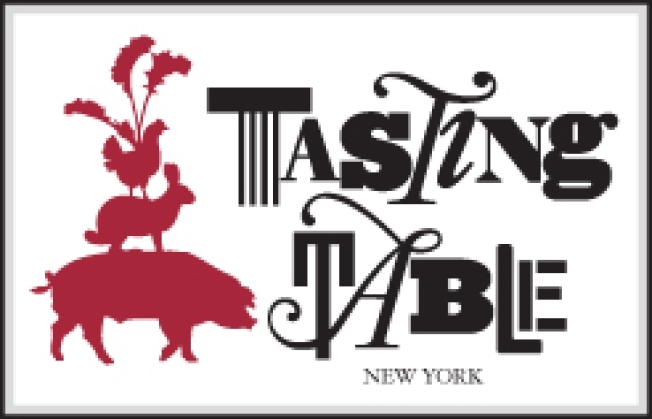 Give us a brief description of Tasting Table. Basically what we want to do is have a story every morning in the inbox covering New York food culture, restaurants, recipes, cocktails, bars, wine, shops, all that stuff. It's anything someone who loves to eat and drink would love to read about. And what's the goal here? We want to hit all sorts of people...We cover every price range, every level of food knowledge. It's more populist than a lot of what is out there. More populist than...? Not to say there are sites out there that I don't like. But, you have eGullet and Chowhound, which are for very curious food people who are wiling to spend the time to go through message boards. We're basically a filter for people don't have time to read through message boards and read print and magazines to decide what to cook and eat. eat that night. We want to be the friend that has the answer. And who is it backed by? It's backed by Pilot Group. We heard MTV's Bob Pittman was involved. And the restaurateur John MacDonald? Yes, Bob Pittman has a long history with MTV and he founded Pilot Group. This is an idea John McDonald came up with and had spoken to Pilot Group about. He'll have to tell you how he came up with the idea. So how are you going to differentiate yourselves from the other email newsletters? As far as email newsletters go, we are less obsessed with what's opening tonight and what's opening tomorrow. That's great for someone who wants to know what's opening up, but we'd rather wait and go and have first hand knowledge. We'd like to say where to sit what to order that kind of stuff...We're doing recipes from chefs, quick shopping lists from a great store. We're doing a lot of coverage of places that have been around for awhile, places that may have been forgotten or have slipped through the media cracks. For example...? One we did was Graffiti. It's literally around the corner from Ko. Not that it's strikingly similar to Ko, but its a similar experience. It's very small and the chef is right in your face. In some ways it's kind of a nice easy alternative. We're also going to do a lot of really classic meals. The first one we did of those is Esca, which i still think people forget about a lot. We tested the best time to go, the most consistent dishes. And how is it different from print and the other websites? First the coverage of classic restaurants, and also it's short, 175 words max. But when you open your email you have the story, but you can look at the menu, print out a map, make a reservation. For people who do want to know what's going that day, we have a section at the bottom of the email we say this restaurant is opening today, this place has closed, this chef is leaving, very "Off the Menu". How are you going to get a readership when there is so much noise already out there? The whole thing comes down to trust. We want people to read a couple things act on one, act on two. And when you do that, you begin to trust it. Then you become a source for restaurant intel.